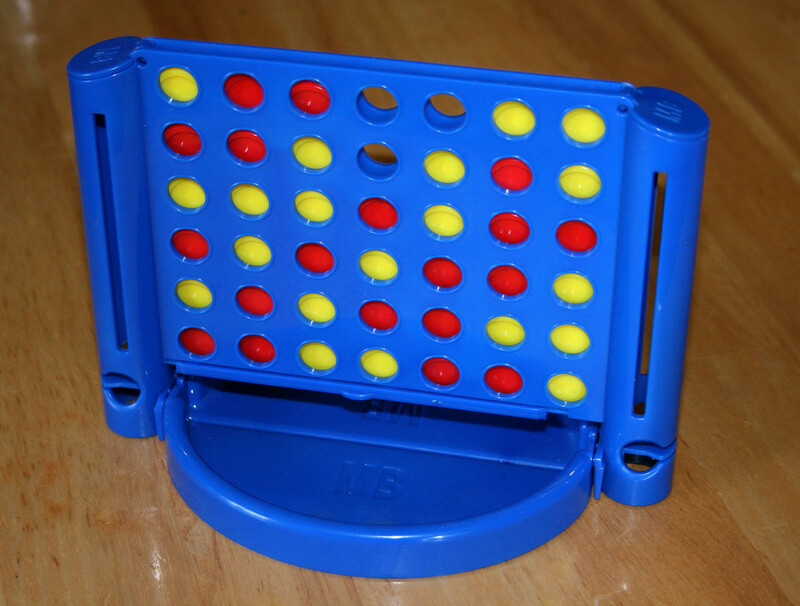 Connect 4 is a good game for the classroom because it is fast, cheap, strategically deep, and if you lose some of the chips the game is still playable (most games are over long before all the pieces are used). Play so that you LOSE the game if you create 3 in a row. If your opponent and you work together – can you fill the whole board with nobody losing? Thanks to pseudonym “Popperipopp” for the image.